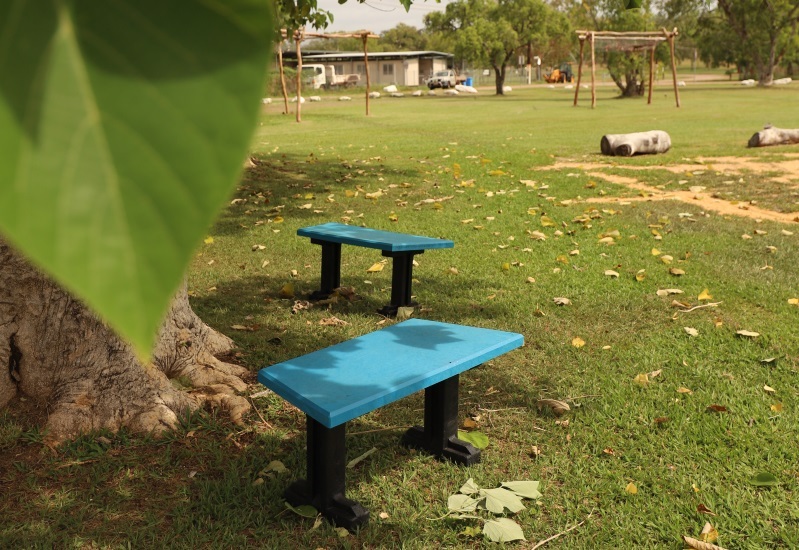 “All of the towns now have Bollards in place to protect drivers and park and recreation facilities, while Barunga has also invested in Parkdale Benches for Culture Park in the centre of town and outside the council building,” said Prudence Long, Communication Coordinator for Roper Gulf Regional Council in Katherine, Northern Territory. 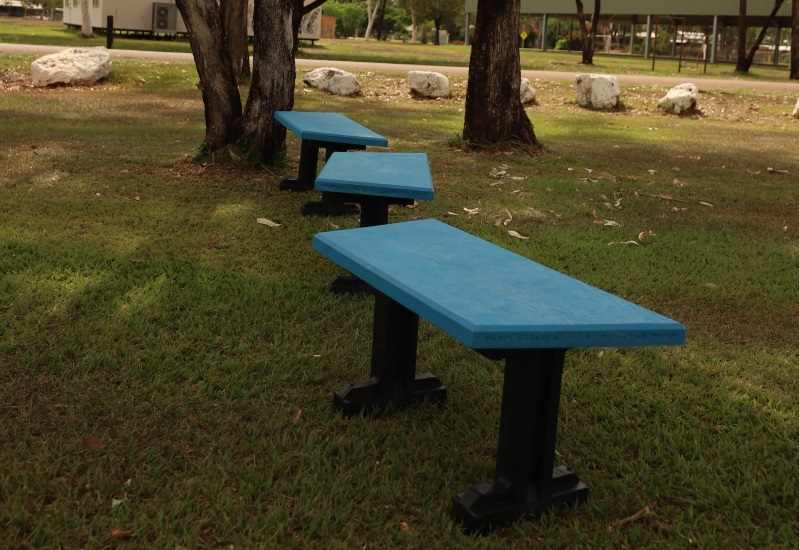 The new installation of recycled plastic bollards and Parkdale Benches from Replas surrounding the council communities gives Roper Gulf Regional Council long lasting, durable products that will stand the test of time, weather and termites. 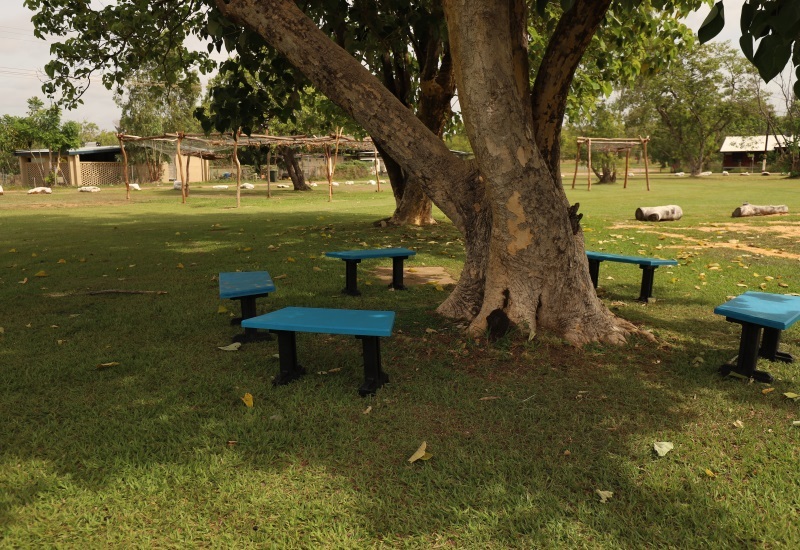 Parkdale Benches have been specifically designed to be installed in a variety of ways, ideal for Culture Park in the centre of their town. 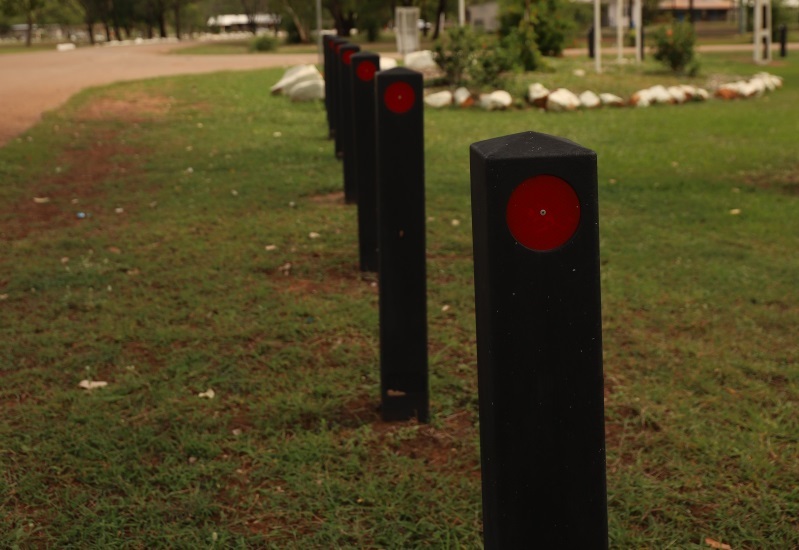 Recycled plastic Bollards are an excellent alternative to timber, providing rigid resistant barriers to define boundaries or deter vehicle or pedestrian access. 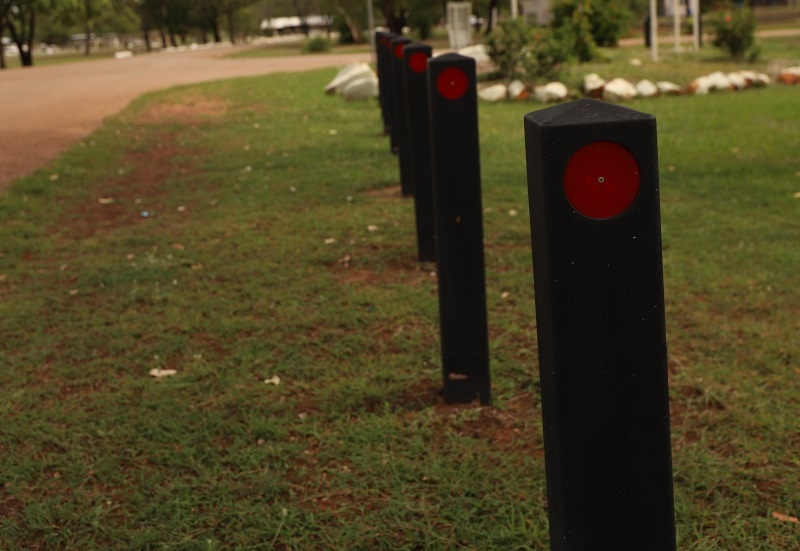 Replas Bollards are robust and will not split, rot, crack or ever need painting – suitable for many applications. Prudence said, “In an area almost the size of Victoria, Roper Gulf Region is taking their recycling and safety seriously. Over the past few months, the local council has had Replas products installed in seven different communities, all of the towns now have Bollards in place to protect drivers and park and recreation facilities.” Council Service Coordinator in Weemol commented on the bollards explaining there has been no damage done to the park lands by quad bikes or other vehicles, a much needed upgrade to their recreation parks. “The new sustainably produced products have not only been a great addition to the communities, but helped highlight Roper Gulf Regional Council’s recycling initiative,” concluded Prudence.